If you’ve got a feeling that Metro Orlando keeps getting more crowded, you’re right — and that’s pushing home prices higher. 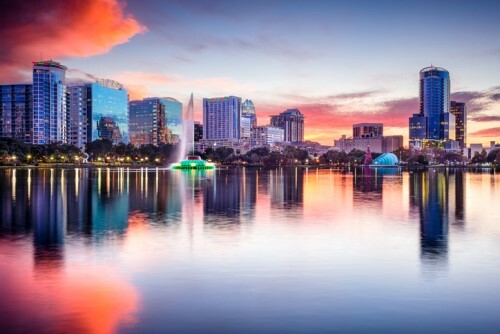 Orlando’s midpoint sales price for homes has risen for 82 straight months, according to April data that the Orlando Regional Realtor Association released Tuesday. The midpoint price for all home types rose to $237,000, which is 10.3 percent year over year and 3 percent higher than a month earlier. Despite the climbing prices, inventory dropped 10.8 percent year over year, tightening supply to 2.3 months which is making homes even more rare for people trying to buy on a budget. The lack of entry-level supply is putting affordability pressure on buyers — especially those at the lower end of the market, where demand is the strongest, said Garry Walmsley, Senior Global Real Estate Advisor with The Orlando Agency, a Division of Global Real Estate Services. He cited a 1.3-month supply of single-family homes listed at less than $201,000, the top price at which homes are considered affordable for first-time buyers. Fort Myers: 12.7 percent migration increase. Migration increase measures the net effect of people moving into a metro area after subtracting those who moved out at the same time. Walmsley also adds that he seen a significant increase in permitting for Retirement or Active Adult Communities, which is attracting a large percentage of baby-boomers about to retire from both the domestic North-East and also Snowbirds from Canada, looking for that warmer climate. Recently returned from a series of seminars where he's been intent on spreading the message of the opportunities available in Central Florida, Walmsley added that Orlando is exploding as a region because of assets including creative and technologically advanced economy, forward-thinking transportation initiatives, combined with an exceptional quality of life.